This is my encounter of the election on November 4th 2008 in Williamsburg, Brooklyn. This night was crazy. So many emotions exploded in such a short period. The atmosphere was a huge ball of nervous energy which tuned into a fine electricity that flowed around everyone. Even still now when watching this video I get chills up my arms. enjoy. USA Election 2008 from ameliashaw on Vimeo. NYC there is always something to do! My new friend and brilliant artist, Shaun O'Connor rang me up with some tickets to go see Wild Style and a Q&A with Director Charlie Ahearn. How can you resist an invitation like that! Here is a little information about Wild Style and the Q&A session with director after. Sit back and get your hip hop on! Wild Style from ameliashaw on Vimeo. The Temper Trap - NYC from ameliashaw on Vimeo. I recently caught up with Melbourne based band, The Temper Trap, in New York City. The four lovely lads are on a whirlwind tour of the UK and US with their manager Danny Rogers. They played at Pianos in Lower East Side and filled the room, not only with people but with a huge sound that easily grows on you. Here is a bit of footage from their show. 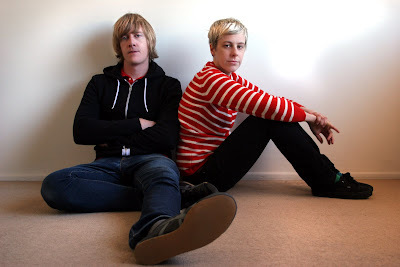 "In May of this year the band entered Melbourne’s Sing Sing Studios to record their much anticipated debut album. They came with a series of epic new tracks, wild dreams and bundles of nervous energy. Renowned UK producer Jim Abbiss (Arctic Monkeys, DJ Shadow, Bjork, Massive Attack, Goldfrapp, Kasabian) flew into town to be at the helm and the results of this brilliant new evolution in sound will persuasively draw you in. The band has conquered adventurous new territory, building on their rich foundations in a natural progression and embellishing the songs with washes of keys, strings and choirs. It is an album equally ambitious as bold – never content to settle into predictability, neither within the confines of a single track or across the spectrum of the album. Sweet Disposition is the first taster of the album, which will be released in early 2009. It is a definitive statement for both the record, and indeed the band’s unique standing on the Australian musical landscape. Driven by a transfixing guitar melody and brilliant, hypnotic vocal, it morphs into a surging indie rock anthem that you’ll find impossible to ignore." They are a little bit odd but very talented entertaining individuals. An Horse Recording of Debut Album - Rearrange Beds from ameliashaw on Vimeo. IN August this year An Horse were invited to support US band Death Cab for Cutie on their Australian tour. Here is some footage from their travels and Brisbane show at the Tivoli. I promise this will not be a video blog on An Horse. 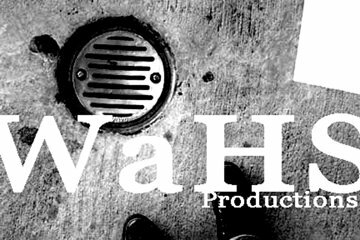 New Projects in the Making!! Here is a short Video made up for An Horse of their US tour with Tegan and Sara. 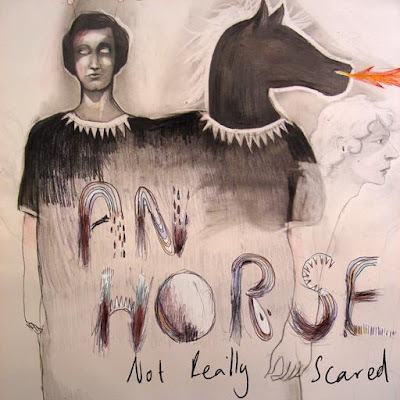 An Horse is an indie Pop band from Brisbane, Austraila. Oddballs, Kate Cooper from Iron on and Damon Cox from Intercooler and Mary Trembles make up the duo. In May 2008 they toured the USA as an opening act for Canadian duo, Tegan and Sara, prior to the release of their first EP. The footage supplied was from An Horse themselves as well as from fans who filmed during their shows.